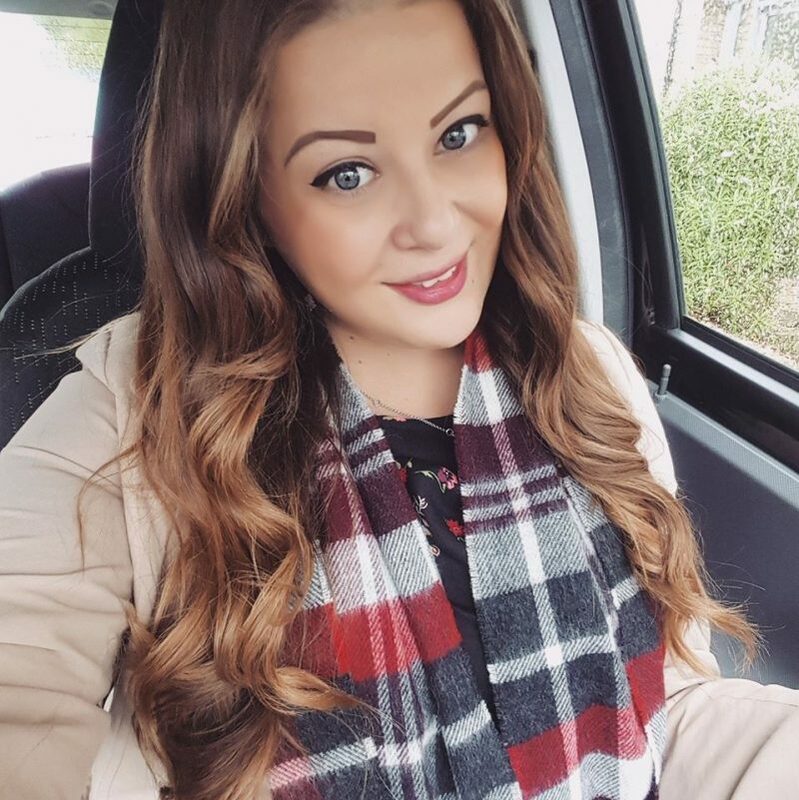 I am proud to say that I was born in Milton Keynes and I even bought my first home here (and will be staying in MK when I buy my next place!). It’s a really unique town – I absolutely love it here and I can’t imagine ever living anywhere else to be honest. 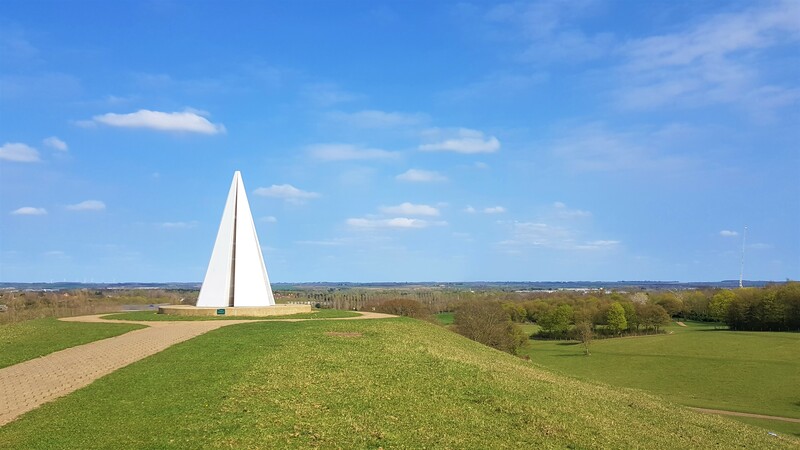 Milton Keynes is sometimes mocked by those who have never actually visited – but there’s plenty more to the town than just concrete cows and roundabouts (although there are over 130)! It might not be the first place you think of when planning a weekend away, but the ‘new town’ (it turned 50 years old last year) has a lot to offer. There’s plenty to do and see, and it’s easy to access as it’s slap bang between London, Birmingham, Oxford and Cambridge. If you’re looking for a hotel within MK, the Jurys Inn is conveniently located at the heart of the town within ‘The Hub’. It’s an easy ten minute walk from Milton Keynes Central Rail station and ten minutes in the opposite direction is the huge shopping centre. The Hub has plenty of bars and restaurants, and the Jurys Inn also has its own stylish on-site bar and contemporary in-house restaurant. The Jurys Inn would be the perfect place to stay when visiting Milton Keynes! 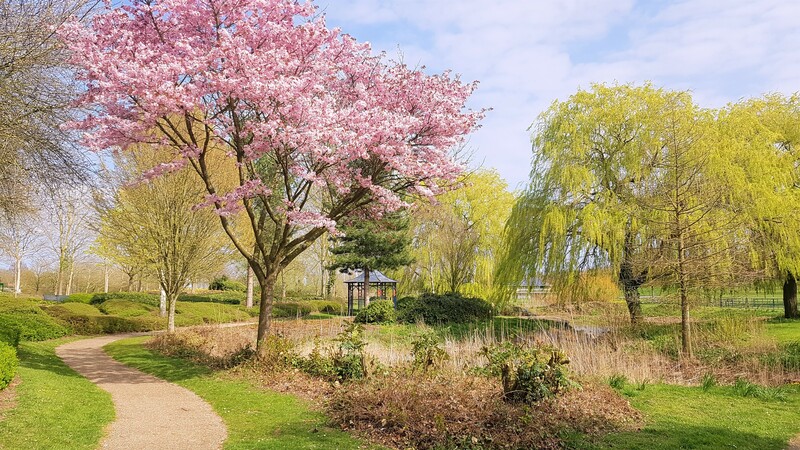 One of the biggest misconceptions about Milton Keynes is that it’s a “concrete jungle”, when in fact, it is 40% green space and you are never more than half a mile from a park. MK has over 5000 acres of parkland as well as 15 lakes and 11 miles of canals – Milton Keynes actually has more bridges than Venice! At Willen Lake you can try a range of watersports and activities, hire a canal boat along the Grand Union canal, or even just enjoy a stroll along the River Ouzel. MK also boasts a network of cycle and pedestrian routes that cover the whole city which are known as ‘redways’. The redways make it easy and safe to get around, as you’re not having to cycle along main roads and you can enjoy a quiet stroll along the fully landscaped routes. Campbell Park is located in the heart of the town, right near to the shopping centre, and is well worth a walk around on a sunny day. The footpaths lead you to a mix of formal gardens, ponds, sculptures and art (there’s an ‘art walk’ you can follow), and woodland. You can also walk down to the Grand Union canal tow path or across to Willen Lake, and they’re currently building a the new Campbell Wharf marina which will have a canal-side pub and cafes. Milton Keynes is a shopper’s paradise! 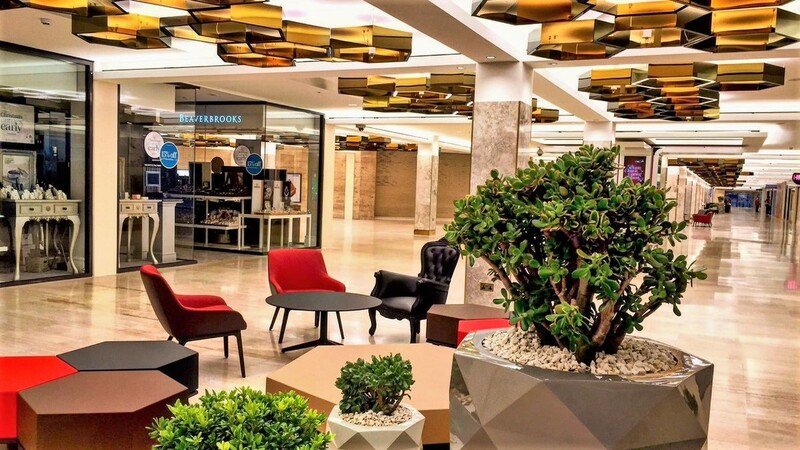 The centre:mk is the main shopping centre with over 240 shops and restaurants in the centre of Milton Keynes with everything from typical high street shops to high end designer boutiques. The centre:mk building is constructed from mirrored glass and opened in 1979 and is now actually a Grade II listed building which means it is “of special interest, warranting every effort to preserve it”. There is also the Intu shopping centre which is practically joined on one end of centre:mk which holds over 50 stores including the large Debenhams department store. There are also numerous retail parks dotted all over the town, the most notable being the MK1 leisure park in Bletchley which has big brand fashion stores including a Primark, Outfit, H&M, M&S and Next. However, from 16th April 2019 a brand new and long awaited three story Primark store will be opening in the centre:mk shopping centre opposite the outdoor market (where BHS used to be). The history of Milton Keynes is quite unique – although initially it was a small village, it was selected to be an area for development and expansion in the 1960’s when London was becoming over congested. The town was very carefully designed and it rapidly grew to be the urban area it is today. You can find out all about the growth of MK and the history of the area before the expansion at the independent Milton Keynes Museum near Wolverton. Milton Keynes is also home to Bletchley Park – once the top-secret location of the World War Two Codebreakers. Bletchley Park played a major role in World War Two, producing secret intelligence which had a direct and profound influence on the outcome of the conflict. 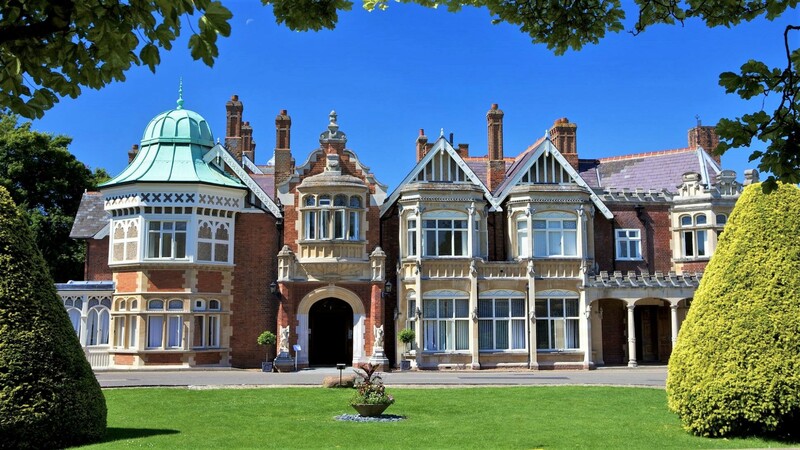 It’s also a birthplace of modern information technology and The National Museum of Computing can be found at Bletchley Park. On display they have a functioning Colossus machine which helped break German encryption during World War II. There are over 350 restaurants within Milton Keynes so you can be sure to find something to satisfy your appetite! 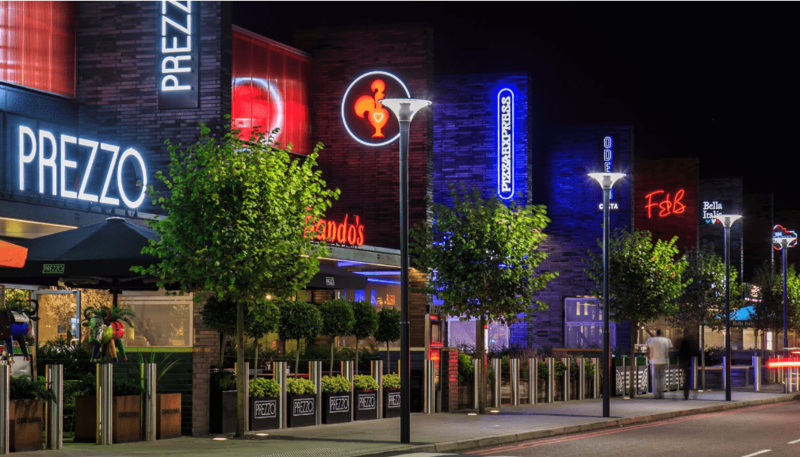 Milton Keynes is a great place to go out for dinner as there’s so much to choose from, whatever your budget. The Xscape complex has many restaurants and fast food outlets, the centre:mk shopping centre offers a range of restaurants and cafes, The Hub has a mix of restaurants and bars, 12th Street offers a selection of different of dining experiences, and MK1 leisure park has all your favourite chain restaurants. We also have a total of five Nando’s restaurants in the town! The surrounding market towns such as Newport Pagnell and Olney offer some of the most popular eating experiences outside the city centre including Indian, Italian, and Turkish restaurants. These tend to be the more independent restaurants whereas the centre is mostly chains. There are also plenty of cosy English pubs in the small villages of Milton Keynes such as The Cross Keys in Woolstone and The Black Horse in Great Linford. As a new and vibrant city Milton Keynes has a wide variety of entertainment. 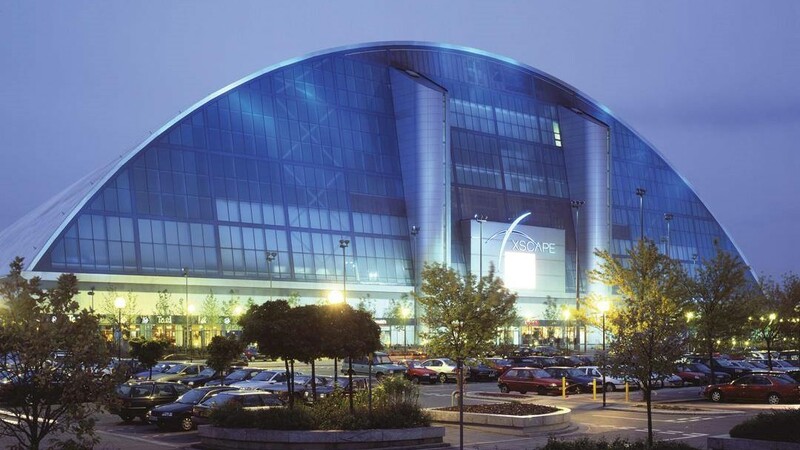 The Xscape centre in central Milton Keynes is described as the ‘ultimate entertainment destination’. It is home to a multiplex cinema, casino, bowling alley, real snow ski slope and there are also numerous shops, bars, restaurants and a gym too. There’s also a state-of-the-art cinema at the MK1 leisure park too. The Casino MK is the largest casino outside London offering 108 slot machines, a 150 seat poker room, 22 live gaming tables, a restaurant and sports bar. There is also a virtual reality immersive experience in the Xscape centre called Rush VR to get pulses racing! 12th Street (previously known as The Theatre District) is home to Mr Mulligans Lost World Golf which features two indoor adventure golf courses and is great fun for all ages. Plus there’s also ‘Locked In A Room‘ – the live immersive escape room experience where you’re locked in a mysterious room with 60 minutes to get out! Milton Keynes has a range of artists work on display throughout the town; from the iconic concrete cows to the ‘Leaping man’ sculpture, which is dedicated to Milton Keynes very own gold medal winning Olympian Greg Rutherford. MK boasts one of the largest collections of public sculptures in the UK, so if art is your thing there’s plenty here for you to enjoy. 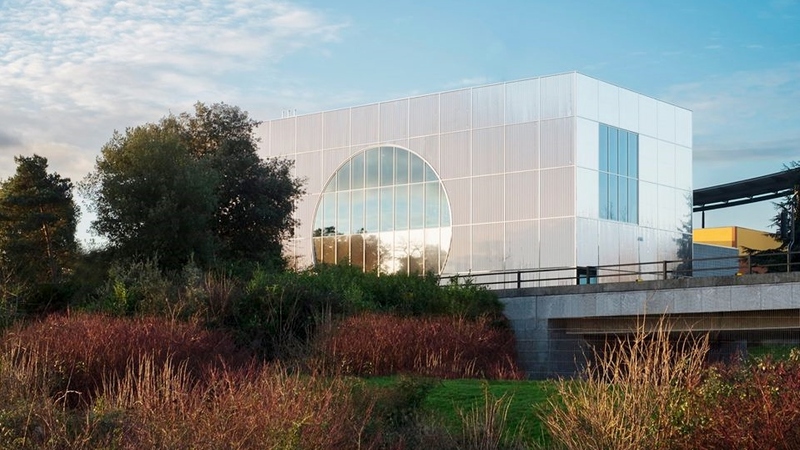 MK Gallery is in the heart of Milton Keynes and has recently reopened in spring 2019 following a major expansion and £12million refurbishment. It’s free admission and contains changing exhibitions of international art across five large gallery spaces. The Sky Room at the gallery offers stunning views over Campbell Park whilst also showing contemporary films. Plus there’s the new MK Gallery Café Bar which serves snacks, freshly-cooked meals, coffee and also has a fully licensed bar. Milton Keynes also has a theatre which offers a wide and varied programme of dance, drama, musicals, opera, comedy and children’s shows. The Milton Keynes theatre opened in 1999 and has a 1400 seat auditorium with a fully retracting ceiling and accommodates a wide range of productions, from large-scale West End musicals, to smaller, more intimate dramas. There’s also The Stables Theatre in Wavendon which has a 398 seat auditorium and presents over 200 live concerts each year. If you’re all about fun then there’s plenty to do in Milton Keynes! There are loads of different attractions in the town which are suitable for both children and adults. If you like a bit of outdoors adventure then check out the Treetop Extreme high ropes adventure course which overlooks Willen Lake. There’s also a Go Ape! high ropes course which is set within the grounds of Woburn Safari Park which has Tarzan swings, rope ladders and a massive 156m long zip wire. At Willen Lake you can try out a range of watersports including windsurfing, wake-boarding, paddle-boarding and power-boating. They also have pedalos too which are great for families – you can choose from either flamingos, dragons, cars or swans! 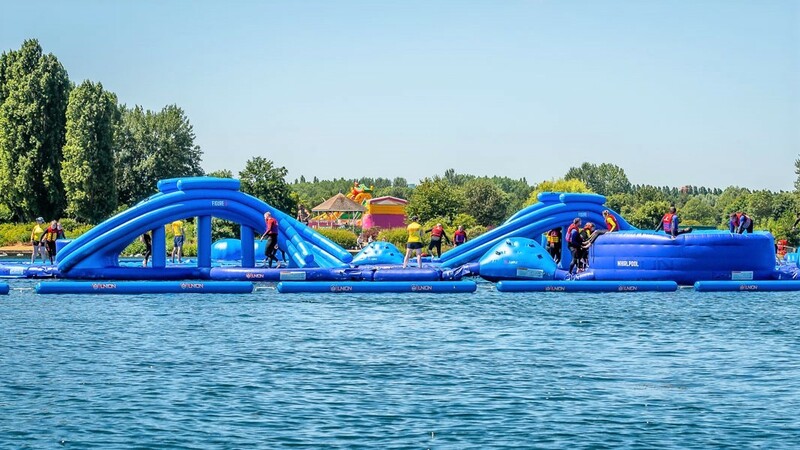 Plus, one of the biggest aqua parks in the country returns to Willen Lake for summer 2019. The Aqua Parcs course is over 120 metres long, featuring over 30 obstacles, with slides, challenges and bouncing balls, all on water. If you prefer to be indoors, in the Xscape building you can try out iFLY’s indoor skydiving centre which is perfect for thrill seekers! There’s even a real snow slopes for indoor skiing, snowboarding and sledging at Snozone. And for kids there’s Gulliver’s Land family theme park and dinosaur park, trampoline parks, soft play, and a splash park at Willen Lake. 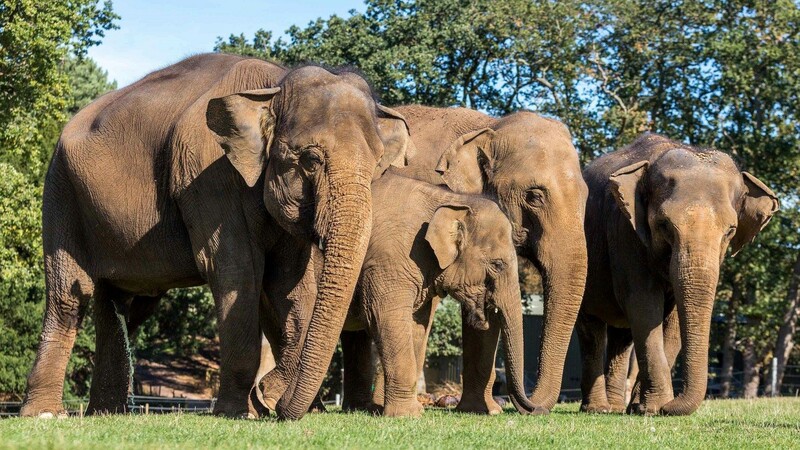 For a fun day out experiencing wonderful wildlife, then you must visit Woburn Safari Park. It has over 1,000 wild animals including lions, tigers and bears and the park lets animals roam freely while visitors drive through their enclosures in their own cars. Once you’ve enjoyed the Road Safari section of the park, you can then progress to the Foot Safari which is home to many smaller animals and you can watch the animal talks and demonstrations throughout the day. There’s also Thrift Farm on the outskirts of Milton Keynes which is spread over a 52 acre working farm. The farm has traditional farm livestock such as sheep, goats, pigs and chickens to smaller animals, such as rabbits and guinea pigs. There’s also an outdoor play area, gift shop and cafe and is great fun for kids! Milton Keynes has a mix of pubs and bars all over the city centre. The Hub is a vibrant area with plenty of restaurants and bars in one place. Bars include Be At One, Las Iguanas, Missoula and Turtle Bay – it’s a great place to head to if you like cocktails! 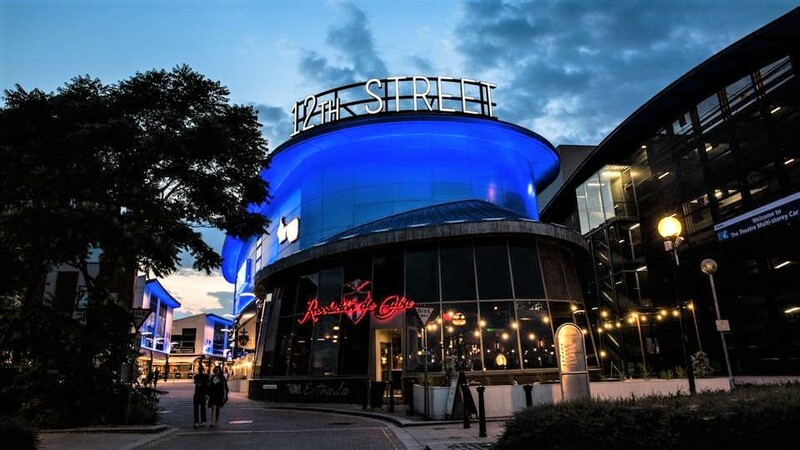 12th Street is located in the heart of MK and is the place to eat, drink and have fun! One of my favourite places on 12th Street is Revolucion de Cuba – a great Cuban cocktail and tapas bar which often has live Latin music. There’s also Brewhouse & Kitchen, Slug & Lettuce and TGI Fridays on 12th Street, as well as the Popworld nightclub. A little bit further afield is the new ‘The Dome‘ cocktail lounge and nightclub, plus everyone’s favourite club Pink Punters in Fenny Stratford – the fastest growing LGBT venue in the UK! There’s also a variety of pubs around Milton Keynes, with everything from good old Wetherspoons to some very cute country pubs. If you’ve managed to read this far then good job! The final reason to visit Milton Keynes is because it’s one of the most innovative places in the UK. Milton Keynes has a vision to become a Smart City and is constantly developing new technologies to be at the forefront of the current digital revolution. 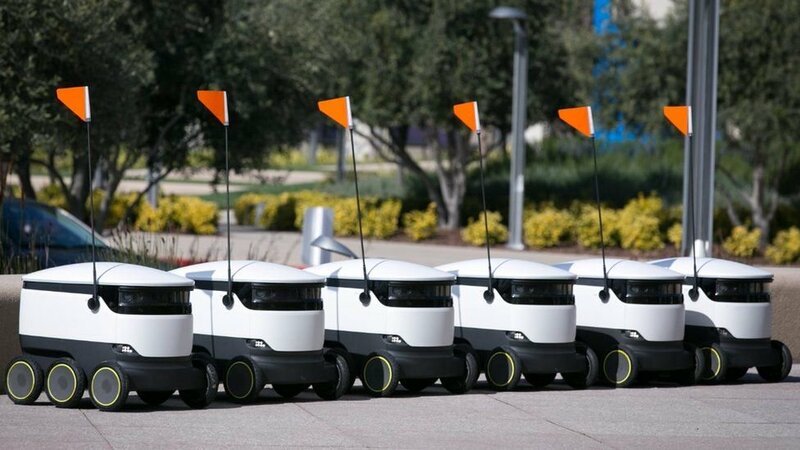 Milton Keynes has robot deliveries (yes.. really! ), driverless cars, and dockless electric bike hire and is consistently chosen as the location for forerunners in tech. The UK’s first smart home is available to buy in Milton Keynes; the cutting edge smart homes come with the Apple Home app, Siri and Apple HomeKit accessories fitted as standard. If you walk around the Monkston, Kingston or Broughton areas of Milton Keynes then you will no doubt come across these little fellas roaming up and down the streets. The Starship Robots allow you to order products from Tesco or Co-op via an app on your mobile and the goods are then delivered to your door by the little robot. I’ve ordered using them a few times and they’re so cute! So… have I got you wanting to book a mini break to Milton Keynes yet?! Thanks for the comment Len! I’m so glad you love living here as much as me. It really is a great place to live!